Charles Darwin was a British scientist who laid the foundations of the theory of evolution and transformed the way we think about the natural world. 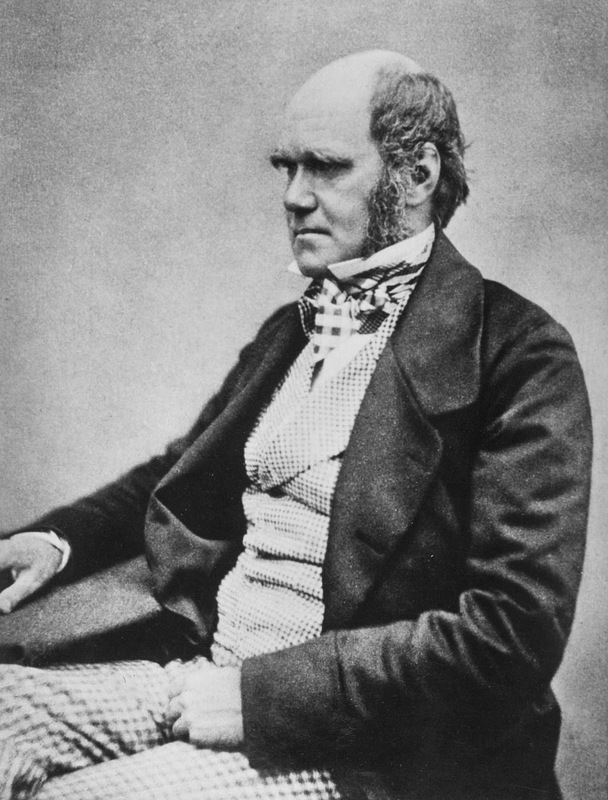 Charles Robert Darwin was born on 12 February 1809 in Shrewsbury, Shropshire into a wealthy and well-connected family. His maternal grandfather was china manufacturer Josiah Wedgwood, while his paternal grandfather was Erasmus Darwin, one of the leading intellectuals of 18th century England. Darwin himself initially planned to follow a medical career, and studied at Edinburgh University but later switched to divinity at Cambridge. In 1831, he joined a five year scientific expedition on the survey ship HMS Beagle. At this time, most Europeans believed that the world was created by God in seven days as described in the bible. On the voyage, Darwin read Lyell's 'Principles of Geology' which suggested that the fossils found in rocks were actually evidence of animals that had lived many thousands or millions of years ago. Lyell's argument was reinforced in Darwin's own mind by the rich variety of animal life and the geological features he saw during his voyage. The breakthrough in his ideas came in the Galapagos Islands, 500 miles west of South America. Darwin noticed that each island supported its own form of finch which were closely related but differed in important ways. On his return to England in 1836, Darwin tried to solve the riddles of these observations and the puzzle of how species evolve. Influenced by the ideas of Malthus, he proposed a theory of evolution occurring by the process of natural selection. The animals (or plants) best suited to their environment are more likely to survive and reproduce, passing on the characteristics which helped them survive to their offspring. Gradually, the species changes over time. Darwin worked on his theory for 20 years. After learning that another naturalist, Alfred Russel Wallace, had developed similar ideas, the two made a joint announcement of their discovery in 1858. In 1859 Darwin published 'On the Origin of Species by Means of Natural Selection'. The book was extremely controversial, because the logical extension of Darwin's theory was that homo sapiens was simply another form of animal. It made it seem possible that even people might just have evolved - quite possibly from apes - and destroyed the prevailing orthodoxy on how the world was created. Darwin was vehemently attacked, particularly by the Church. However, his ideas soon gained currency and have become the new orthodoxy. Darwin died on 19 April 1882 and was buried in Westminster Abbey. The highest possible stage in moral culture is when we recognise that we ought to control our thoughts. The fact of evolution is the backbone of biology, and biology is thus in the peculiar position of being a science founded on an improved theory, is it then a science or faith? Even in the worm that crawls in the earth there glows a divine spark. When you slaughter a creature, you slaughter God. An American Monkey after getting drunk on Brandy would never touch it again, and thus is much wiser than most men. Besides love and sympathy, animals exhibit other qualities connected with the social instincts which in us would be called moral. A scientific man ought to have no wishes, no affections, - a mere heart of stone. Man tends to increase at a greater rate than his means of subsistence.